We all have a song or a personal soundtrack that speaks to us. But it doesn’t always say exactly what we want it to say. In All is Not Lost — an HTML5 music collaboration between the band OK Go, the dance troupe and choreographers Pilobolus, and Google—you can embed your message in a music video and have the band dance it out. The band and Pilobolus dancers are filmed through a clear floor, making increasingly complex shapes and eventually words—and messages you can write yourself. 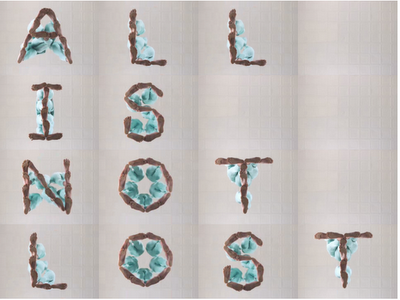 All is Not Lost is built in HTML5 with the browser Google Chrome in mind. Different shots are rendered in different browser windows that move, re-size and re-align throughout the piece. 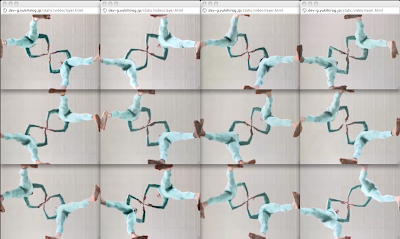 With HTML5’s canvas technology, these videos are drawn in perfect timing with the music. OK Go are well-known for their delightfully creative music videos, including Here It Goes Again, their first work featuring half a dozen treadmills, and This Too Shall Pass, based around an extraordinary Rube Goldberg machine—both of which have become extraordinarily popular on YouTube. We’re excited to collaborate with them on another project that finds its natural home on the web. This project also has a special significance for the team here at Google Japan, who worked on this collaboration alongside OK Go. In the wake of the devastating Tōhoku earthquake, the band suggested using All is Not Lost as a message of support to the Japanese people during this difficult time. All is Not Lost is best experienced in Chrome at allisnotlo.st. For web developers curious about how the experience was created, you can read more on the Google Code Blog.